Anyone else feel like October was a slow month this year? Not that I'm complaining or anything, October is nice, it's November that I don't like. All those assignment deadlines and exams coming up, is it any surprise that it's my least favourite month of the year? Enough about that though, today I have some of my favourite products of the last month! I've got some make-up brushes, haircare, lipsticks and more, so let's just get started shall we? 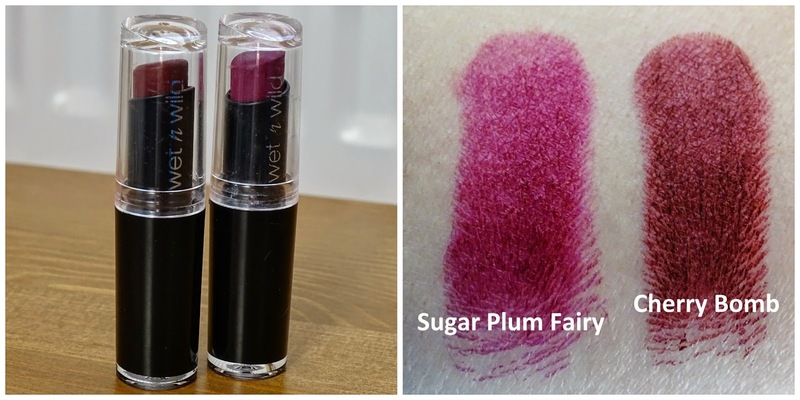 First favourite of this month are these Wet n Wild lipsticks in Cherry Bomb and Sugar Plum Fairy (review here). I've already talked about SPF so many times, so all I'll say here is it's a dupe for Mac's Rebel and it's an absolutely gorgeous colour! Cherry Bomb is, I've heard, an exact dupe for Mac's Diva (don't have it, so can't say too much about that), and it's just so lovely for this time of year. Like SPF, it's matte, but not too drying, and it lasts for ages. They're only €2.99 each too, and can be found in Pennys and Dunnes. 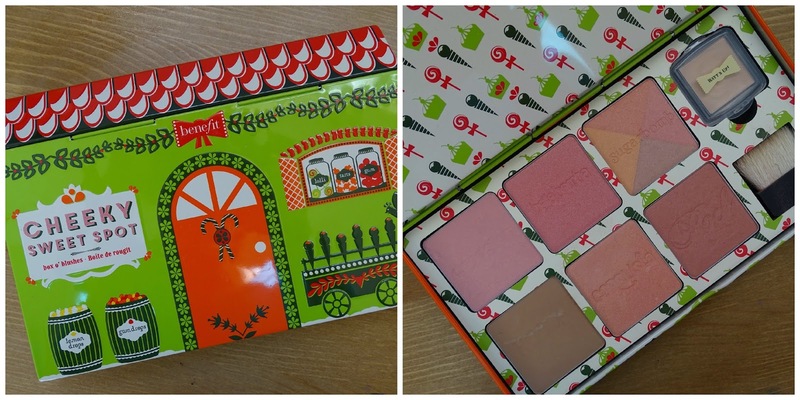 Next up is Benefit's Cheeky Sweet Spot, which is part of their Christmas 2014 collection. I have wanted to try Benefit's blushes for a while, so when I saw this I knew I just had to have it! It contains 5 blushes (Dandelion, Bella Bamba, Sugarbomb, Rockteur and Coralista), a bronzer (Hoola) and a highlight (Watt's Up!). I've been using this palette almost every day since I got it, I love all of the colours so much! It's around €35-43 depending on where you get it from, I think Boots do it for €35 but you have to order it to the store. I'm always on the hunt for a great mascara, so when I heard about the Isehan Kiss Me Heroine Make Mascara on YouTube, I decided to give it ago. It's a Japanese brand, so I had to order it on eBay, it was around €15. I got the lengthening one, and at first, I didn't really like, I didn't feel like it really did anything. Then I tried it after curling my lashes, and it worked really well, giving me some nice looong lashes! It doesn't give much volume though, so I do use another mascara on top of it. I've really been loving the Pink Avenue Contour Brush to apply my blush over the last month! It picks up just the right amount of product and it's really soft too! I have a review up of it here if you want some more information on it, including price and stocklists. Up next, Nima Brush's The Lady. I'm not exaggerating when I say this brush changed my life. It. Is. Amazing. I always used to mess up doing the outer corner of my eye until I got this. I bought it at Pro Beauty a few weeks ago, and I've literally used it every time I put on eyeshadow since then. You can get it here for €12. Last but not least, some haircare! I originally just went into Boots looking to get the John Freida Frizz Ease Curling Cream, but the line was on special offer (3 for 2) so I picked up the shampoo and conditioner too. These leave my hair nice and soft, and the cream does wonders in controlling my frizz! 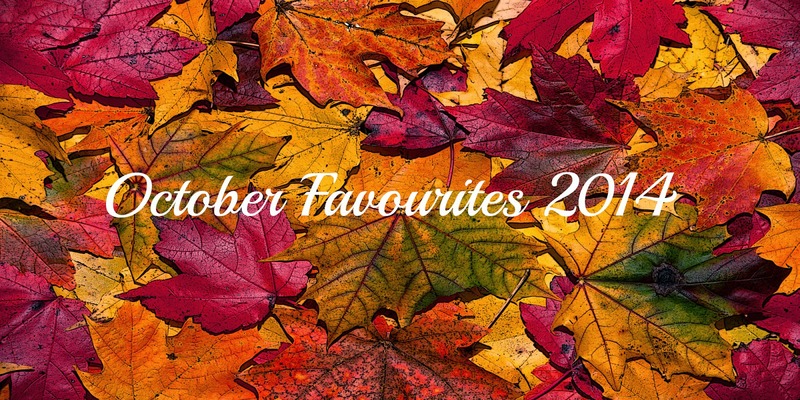 That's it for all my favourites this month! I'd love to know what you guys have been loving this month, share them in the comments!